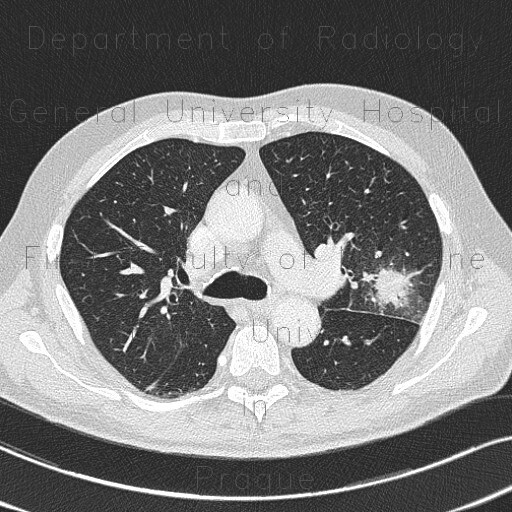 Initial CT shows a spiculated mass in the left upper lung lobe. A scan, that was performed after 10 days shows marked enlargement of the mass consistent with benign disease. After treatment, the mass retracted.